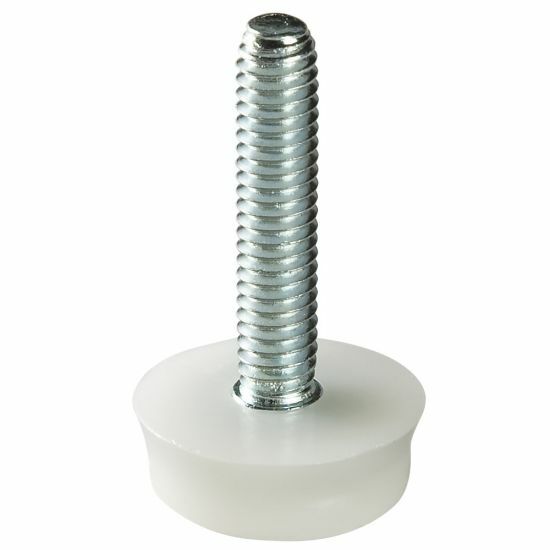 This 4 pack of Plastic Leveler Glides allows easy leveling of furniture. A simple way to level furniture, particularly on uneven floors! 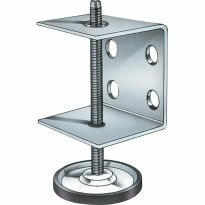 Heavy-duty levelers feature feet made of specially engineered plastic to provide a smooth gliding surface. I used them on grandfather clock with great results. Solid 5/16 shaft. Plastic base does not mar floor. These are extra STRONG and my table glides easily across the room and NO SCRATCHES EXCELLENT PRODUCT!!! Worked well. I used them with the steel threaded inserts. Work fine, look sturdy. No spec on weight capacity, though. I had a project that required that kind of levelers. I was going to need a Dozen and went to my local hardware store that has been around for the last 45 or more years. But they recently have sold out to another company and replaced the personnel. They wanted me to buy something that was absolutely useless and was over 10 times the price I paid through Rockler including shipping. I am very pleased with how thy handled the order. These levelers worked great for leveling tables. They tend to be a bit loose and will turn if the table is moved, changing the height. Last piece of the table s.
Good product. Used to add leveling to live edge tables. 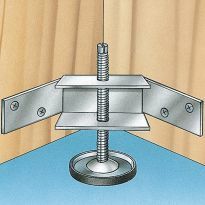 The standard thread made epoxing nuts inside metal frames. Would have given 5 stars if black was available. Would be - package the T-nuts with it. I described on the phone what i was looking for so we guessed at the end product. I was sent chair levels when in fact i needed wall unit levels. I won't know if they work until my wall unit comes comes out of storage. Delivery happened when they ca,e in stock. My daughter had purchased an older dining table and legs were a bit wobbly. I drilled out the bottom of the legs, total of 10counterbored for the threaded insert for a flush fit screwed in the levelers and the table is now sets solidly. A good product though a couple of flats for a wrench to adjust would be a great improvement. Table is also easy to move on the wood floor. I was pleased with the quality of the table adjusters I bought. I was also pleased with how fast they arrived. I will be using them to replace the metal adjusters on my grandmother's antique pedestal dining room table. These should greatly reduce the marring of the floor. The glides worked very well for the table saw outfeed table I was building. need heavy duty glides and these are best I have used. I chose these to replace a set in a Armoire I recently purchased. The nylon had worn off of two where they had been sliding the furniture around. I thought about Rockler and looked and there they were just what I needed. FOR MY KITCHEN TABLE WHICH IS ON AN UNEVEN FLOOR. It's almost impossible to find these in stores, as they are larger size than most, but exactly what I needed. Need to add levelers to table. Already have the tee-nuts. To level my project which will be on an uneven surface. need it for a table project. 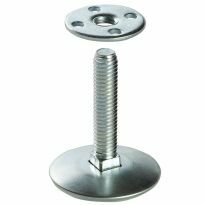 I use these with the t nuts on many table projects. Hopefully these will keep my table level on varying floor surfaces. Repairing a mattress support for wooden bed frame. Hope these work and I will add more. 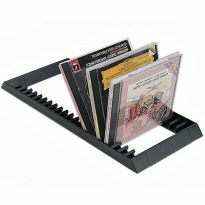 Need a plastic easy slide base. Works good from previous experience. Creating a coffee bar for my wife and need these to attach the feet that I am turning for it. Glides needed for placement of a cabinet on an unlevel floor with a vinyl surface. These should do quite nicely. Using the leveler guides to put under the 2 x 4' modules of my model railroad so they can be level. Stem? what does it look like? Is this what the bolt is screwed into? Size of stem? Are the T-Nuts included or do you have to buy them separately? Do they come with a longer screw? Sorry, I don't know the answer to that question. They do not. I wish they did. What is the weight limit per leveler? BEST ANSWER: Andrew, I was unable to find any specific reference to weight limits for the glide itself, but it is substantial. The 5/16" threaded rod is obviously quite strong and the nylon glide pad is solid, so a resting weight applied along the axis has little chance to deform the leveler. I would be mostly concerned with how the leveler is attached to your project, especially if you expect it to get moved around a lot. I used these for the feet of my Folding Work Station project (Jan 2016 issue of Woodworker's Journal Magazine) and they have had no issues holding up the work surface even as I use it as a workbench. I don't have specific numbers, but they are quite beefy. I used the Rockler Tee Nuts which are equally quite strong and I would feel totally fine with 50lbs per leg, I suspect they would even hold 100lbs per, but I don't have anything that heavy. does this glide fit the 5/16 female? BEST ANSWER: The tread is standard 5/16 X 8thd per inch. If the female threads are this size there should be no problems. Are these 8 mm with 125 pitch ? 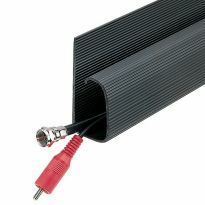 does this come in a 1/4 x 20 thread? BEST ANSWER: This particular glide comes 5/16-18. Rockler's site does not show a 1/4-20 version, although your local hadware store may have them in that size. Is there a larger base diameter at rocker?